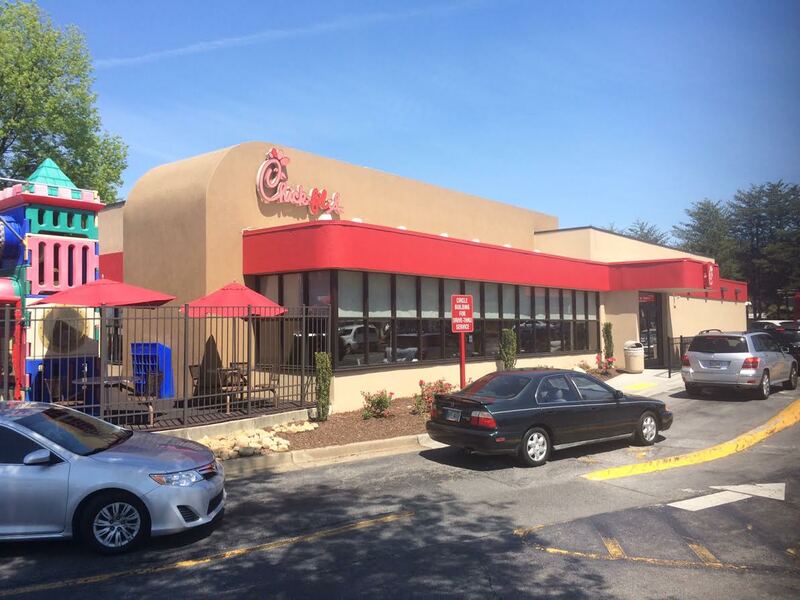 ToNeTo Atlanta has been the only local news site keeping residents informed of the upcoming closure of the Chick-fil-A restaurant at North Druid Hills and Briarcliff Roads. The restaurant, the first freestanding Chick-fil-A, opened April 16, 1986 and is currently expected to close at 2PM on Friday August 11. "Chick-fil-A at North Druid Hills is projected to close later this summer. It will be torn down and replaced with a new Chick-fil-A restaurant that features the chain’s newest interior design, increases capacity and will create an even more remarkable experience for our guests. The restaurant was the first stand-alone Chick-fil-A restaurant for the chain when it opened in 1986 and has been operated by Franchise Owner Greg Mapoles since 1989. When it re-opens approximately five months after closing, the new restaurant will feature a kitchen, dining room and drive-thru service updated to not only handle current capacities but for future growth. The restaurant will continue to be open 6 a.m.-10 p.m. upon reopening." “We are so thankful for the millions of guests we have served over the last 30-plus years here at North Druid Hills” said Greg Mapoles, franchise owner. “Their loyalty has created the opportunity to rebuild an even better restaurant to serve them. We encourage them to visit other Atlanta-area Chick-fil-A locations while we rebuild, and look forward to welcoming them back to our brand new restaurant later this year." When Chick-fil-A reopens, it will be without its chicken salad sandwich, which the company announced in June would be eliminated from the menu as of September 30th. With renovations expected to take "about five months," the restaurant is now expected to reopen "in the first part of 2018," and not in late 2017 as was originally planned. According to a recent report by restaurant industry publication QSR, which specializes in the limited service food industry, systemwide sales at Chick-fil-A were estimated at $8 billion in 2016. This sum is staggering for many reasons, chief among them the fact that Chick-fil-A is closed on Sundays. The report indicates that Chick-fil-A's average unit volume in 2016 was about $4.4 million, the highest of any QSR, and well above McDonald's ($2.6 million), KFC ($1 million) and Subway ($400,000). Overall, Chick-fil-A operates over 2,100 locations across the country. A Chick-fil-A which formerly operated as a Dwarf House in Newnan is expected to reopen August 31 as "Truett's Chick-fil-A" in Newnan, while a new Chick-fil-A is expected to open September 14th in Rockmart. As ToNeTo Atlanta reported yesterday in our weekly Bits & Bites post, a Chick-fil-A in East Cobb is also undergoing renovations, but of a far less dramatic nature. The restaurant, on Roswell Road near East Lake shopping center, is undergoing a significant interior renovation and is expected to reopen August 10, less than a month after work began. In case you are just discovering ToNeTo Atlanta, welcome! ToNeTo Atlanta (Tomorrow's News Today-Atlanta) is your best source for news and updates on metro Atlanta's diverse commercial real estate scene including, but not limited to, restaurants, retailers, hotels and convenience stores. Are you excited for the new Chick-fil-A? What is your fondest memory of the North Druid Hills Chick-fil-A location? If you live or work nearby, where will you eat during the months that Chick-fil-A is closed? The only Chick-fil-A to be open on a Sunday!